I am always trying to be more crafty. I am also planning to redo our smal powder room and even smaller laundry and want something unique and colorful. Then I heard about AstroBrights paper! 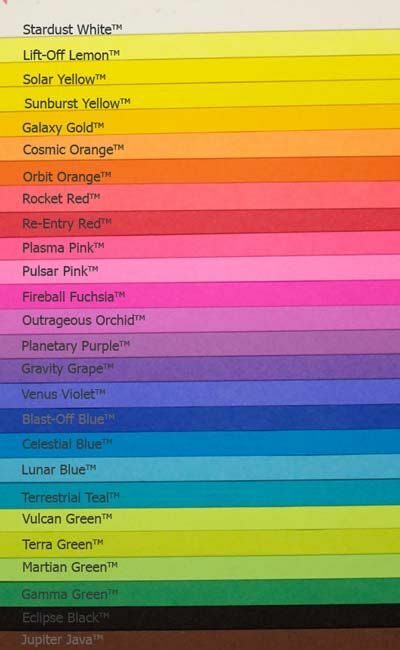 I love this paper for a number of reasons, one being, AstroBrights papers come in 23 bright colors! I checked them out and I love the quality of the papers. What's nice too is that you can purchase a pack with a variety of colors, or choose just one color that will make a statement. I can see using the AstroBrights papers for backgrounds in frames for art pieces as I go about redecorating our powder room and laundry room! And, right now, you can support your local elementary school by entering the "Give a Brighter Year" sweepstakes. You can win a cash prize plus school supplies valued at $30,000 for the school of your choice! 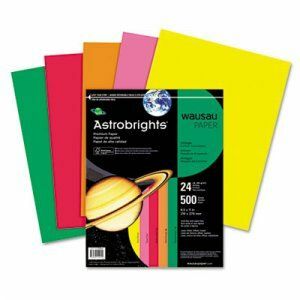 Can you find a craft project on Pinterest or a DIY site and make it better using Astrobrights Paper? Try it and maybe you could win! To enter, visit Astrobrights Facebook page and go to the Contest tab. Make a unique project using the guidelines for the week and then submit an original photo of your artwork. You could win a Visa Gift Card!